This adventure is for those who want to experience the beauty and serenity of the famous Road To Hana without the long day. If you don’t have the time for the full road, you will certainly have time to go Halfway to Hana! BOOK THIS HIKE TODAY! The day begins in the first sugar plantation town on Maui and takes you deep into the reaches of our tropical paradise and rainforest living. Watch big wave surfers at Ho’okipa (seasonal) as we begin driving the Hana Highway and see the green sea turtles (Honu) on the way back! 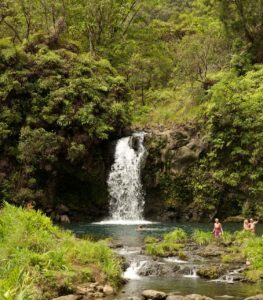 During the day you’ll skip through a bamboo forest like you’ve never seen, forge streams, and jump off waterfalls into glistening pools of fresh water provide by the Kane and Kanaloa themselves. And, if you’re here during the late spring or fall you may just get to pick coffee beans right off the trees! This tour is geared toward those who don’t have enough time such as Lahaina bound cruise ship passengers and/or those who just really want to get into the nitty gritty glory of every waterfall and hiking opportunity. 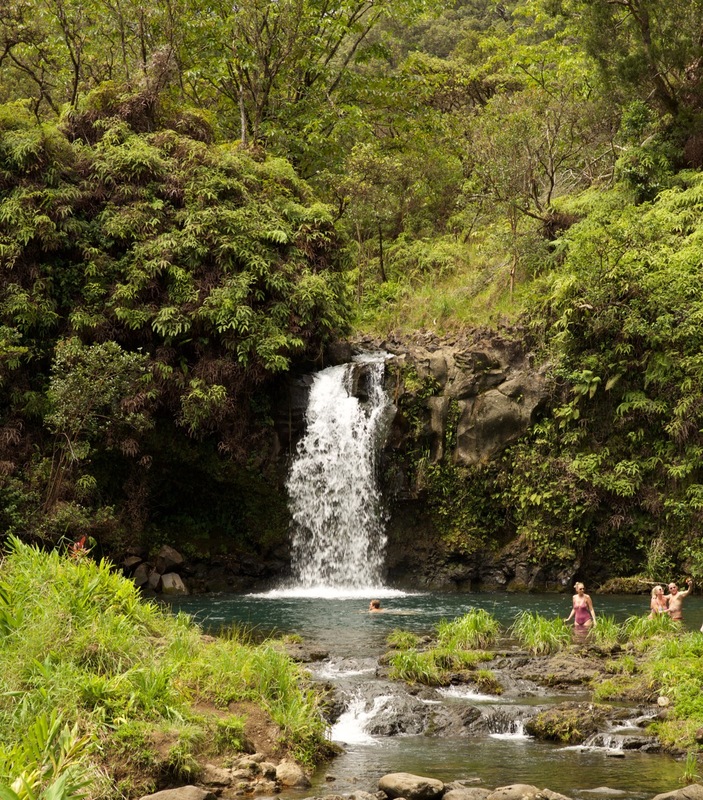 Halfway to Hana gives you the tropical experience without the full commitment. Also, please note: we do not have a half-day to Hana tour. It takes some time to get out into the beauty of the Road to Hana and it just isn’t a complete tour. So we suggest a Halfway to Hana tour instead. It may not get quite as far around the island, but it shows some of the most beautiful locations and most exhilarating hikes. This day is typically 6 hours long and starts around 7:30 and returns around 1:30 p.m. There are still many adventure options to choose from depending on your fitness and adventure level. BOOK THIS HIKE TODAY!